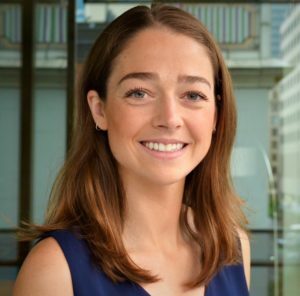 SEATTLE—Committee for Children, the global leader in research-based social-emotional learning (SEL) education, announces the expansion of its public relations team with the hiring of Natalie Ceis as Public Relations Specialist. She joins CFC as the organization unveils a new look—and its plans for evolution and growth. Ceis joins CFC after spending five years working in communications in Washington, D.C. Most recently, she worked as a consultant for the Indian Health Service (IHS) Department of Diabetes Treatment and Prevention. Her time with IHS included managing former First Lady Michelle Obama’s Let’s Move in Indian Country initiative. The initiative focused on increasing access to physical activity and improving health among Native American youth. Prior to consulting, Ceis worked in communications for a preclinical research nonprofit and interned on Capitol Hill in Senator Patty Murray’s office. Most importantly, Ceis brings a true passion for serving youth. In her free time, she coaches youth lacrosse. As a former college lacrosse athlete, she enjoys sharing that skill and knowledge with kids. Her time coaching has been spent not only teaching the game but also helping kids learn life skills through it, something that really drew her to CFC’s mission.